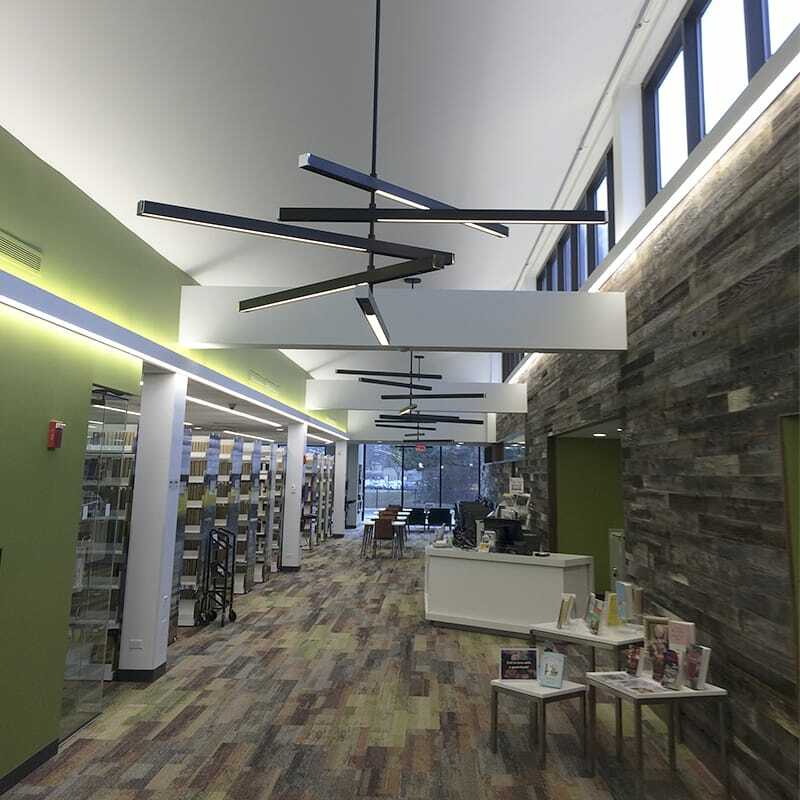 Gilbane partnered with Lincolnwood Public Library to deliver an updated library facility for generations to come. To address the out-of-date facility issues in the eyes of the community and to meet the District’s strategic plan goals, Product Architecture + Design was hired to explore facility improvement projects and create a master plan. After voting to move forward, Gilbane was brought on as construction manager to renovate and update the existing 17,500 SF facility. The project included a new roof, a complete interior renovation to the existing facility, a new entrance canopy and plaza with wider vehicular entrance, new exterior doors and windows, and renovation of the existing asphalt surface lot to be permeable. The Library remained open during construction and was completed in multiple phases. Gilbane worked closely with Library personnel to develop and maintain a workable phased schedule to minimize public inconvenience including the rearrangement of the collection. Gilbane was also responsible for coordinating the schedules of any required movers and/or furniture installers. 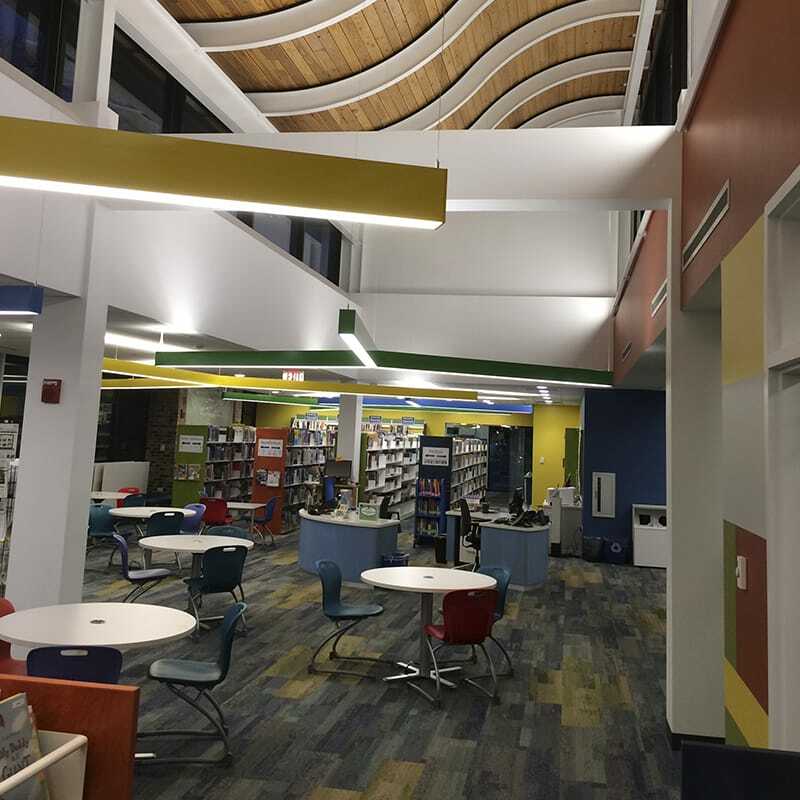 Representing the heart of the local community, the new library satisfied the growing demand for access to resources, educational programs, improved technology infrastructure and a space for everyone in the local community to gather and learn. The project included intricate high-end design features throughout and boasts open collaborative spaces. Throughout the construction process, tours of the library were provided to current employees as well as librarians and directors from other neighboring libraries. Weekly updates were provided to the client to track the progress of construction. These updates were posted on the library website to share with the local community and keep everyone well-informed on the progress of the new library. The new space offers residents with new amenities including an abundance of new window space, new collaborative study and meeting spaces, more public space, a teen lounge, a digital media lab and more. The library addresses the growing demand for access to resources, educational programs, improved technology infrastructure and a space for everyone in the local community to gather and learn. The Lincolnwood Public Library is the heart of the local community.